When making the switch from commercial antiperspirants to Live Whole Be Free’s all natural, organic deodorant, I highly recommend starting with a 3-day tea tree oil detox to remove the toxins from your body. For three days, you wear only a drop of tea tree oil under each arm. You can purchase tea tree oil at any specialty grocery store BUT… I recommend buying therapeutic-grade from Young Living. This is the best of the best. You will reduce risk of skin irritations and other side effects this way, since Young Living oils are pure and unadulterated. Tea Tree Oil (called Melaleuca Alternifolia) can be used for a myriad of uses such as the ones below, but again, I would only use YL’s oils for such uses. (Use this link to sign up as a YL distributor and receive wholesale pricing. My ID# is 1563299). The three day detox period allows your body rid itself toxins like aluminum zirconium, the icky chemical found in commercial antiperspirants which has been linked to all sorts of issues. You’ll also want to exercise and sweat those toxins out! Don’t sit home all day under the air conditioning trying to avoid getting stinky. The more you sweat, the better! Those first few days—you might smell a bit, but it’s worth it. If you’re concerned about it, do it over the weekend, making Saturday and Sunday the first two days. By Monday, you’ll be much better off. 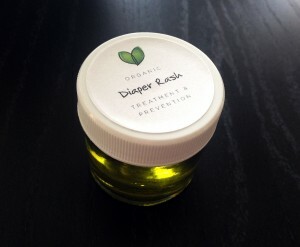 After three days wearing just tea tree oil, you will be ready to start wearing the organic deodorant. Again, the detox is NOT required, it is just helpful. Plenty of people use this product with great success without having done the detox. To purchase Live Whole Be Free’s all-natural, organic deodorants, visit Live Whole Be Free’s Etsy Shop! Peace, love and toxin-free bodies! After about 3 days of research, we finally figured out what kind of mattress and mattress cover our little angel will be sleeping on. I think my husband and I have done more research on baby stuff in the past 7 months than either of us did in four years of college! The good news is, I’m going to share all this good stuff with you! Even if you don’t have children, this is an important read in order to keep chemicals and toxins from harming you while you sleep. Studies have shown that crib mattresses contribute to one of the highest causes of chemical poisoning among babies. Regular (and sheepskin) mattresses contain phosphorous, arsenic and antimony. These elements are naturally occurring in some sheepskins and are added in via the manufacturing process of regular mattresses. Arsenic and antimony are used as preservatives in mandatory flame retardants and phosphorous is a plasticizer used in matters covers. Most baby mattresses contain filling material called polyurethane foam, which is made from petroleum and contains chemical catalysts, surfactants, emulsifiers, pigments and more. Manufacturers listed on the material safety data sheet (MSDS) that exposure to polyurethane foam can cause: possible cardiac arrhythmias, breathlessness, chest discomfort, irritation of mucous membranes, headache, coughing dizziness, fatigue, blurred vision and more. Considering infants spend an incredible amount of time sleeping, this is a huge concern for me. Adding to that, a common household fungus known as Scopularioupsis Brevicaulis gets established in the mattress from the baby’s sweating, spitting up, urinating, etc. Once it’s there, the fungus feeds off of the phosphorous, arsenic and antimony. The result is a production of three nerve gasses: phosphine, arsine and stibine, all of which can be very deadly, especially to infants. Enter SIDS (Sudden Infant Death Syndrome). It has also been proven that the risk of SIDS increases with the birth of each child, potentially because mattresses are re-used, allowing the fungus to become more established with the addition of each child. Although it is not 100% scientifically proven, many scientists believe that toxic gases released from crib mattresses can cause SIDS when inhaled or absorbed by the baby. A large study in New Zealand had a 100% success rate in crib death prevention for the past 13 years. Parents were strongly advised to wrap their mattresses with a specially formulated polyethylene cover. Out of 170,000 (22%) New Zealand babies, not one single SIDS death was reported, compared to 860 reports of crib death prior to this study. To be clear, scientists agree that low density, food-grade polyethylene is the safest plastic available for waterproofing a crib mattress, since it does not contain phthalates or other unsafe additives. So how do you make sure nerve gasses aren’t reaching your baby? Well, you either buy an organic mattress or you cover the one you have with a low-density food-grade polyethylene sheeting. It is the safest plastic available for waterproofing a mattress. It has a simple molecular structure and does not contain phthalates or other unsafe additives. Unlike the production of vinyl, dioxins and other toxic chemicals are not released into the environment during the production of low-density polyethylene. If you’re buying a new, organic mattress, make sure it’s actually organic (as opposed to it having just one organic material and abusing the term “organic”). It depends on all materials used. 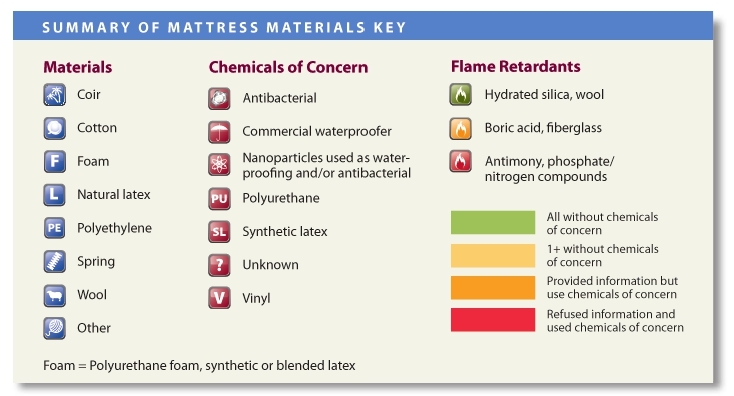 Even an organic cotton filled mattress can be filled with a vinyl covering, which then likely adds in chemical fire retardants. 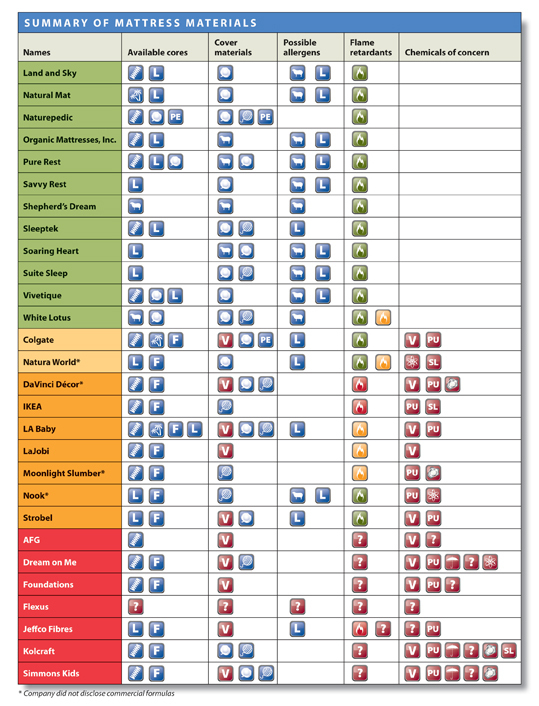 Check out company ratings in this buying guide. Once you’ve decided on a couple you’re interested in, check them against the tips above to see if any red flags come up. There’s also a very helpful chart and key included in that guide. Though boric acid is considered by some to have a low toxicity rating, it’s also a roach killer. Also, antimony is listed as a “chemical of concern” but arsenic and phosphorous are not. Double check with manufacturers on whether they contain these two compounds before making a final decision on a purchase. Also, avoid any mattresses that have an un-waterproofed surface. Wool/latex as the surface material is okay, un-waterproofed cotton is no good, because it can get wet and mildew. (Enter S. Brevicaulis). Removable cotton pads/wool pads that can be washed are fine, but make sure they aren’t too cushy, especially if your baby is going to sleep on his/her stomach, as this can interfere with breathing. On that note, a firm mattress is a must-have if you are buying for an infant. If you are going to continue using the mattress you have, be sure to cover it properly. Cover the top, all sides and most of the underside of the mattress with a polyethylene sheeting that is at least 5 mil thick and free of phosphorus, arsenic and antimony. Leave several venting holes on the underside of the mattress cover so that the gas can escape. Use fleecy pure cotton mattress cover over the polyethylene sheeting and tuck it in securely. Make the bed using pure cotton sheets. Do not use any of the following as baby bedding: sheepskin, moisture-resistant mattress protector, acrylic under blanket, sleeping bag or duvet. Clean mattress covers by wiping with pure soap and water. Do not use chemical bleaches or sterilizers. Mattress: Should have waterproofed cotton or wool/latex as the surface material. Mattress should be firm. Cover: Use a low density food grade polyethylene mattress cover or a pure cotton cover if the top of the mattress is waterproofed. Sheets: Pure cotton sheets. Organic is great, but make sure they’re at least 100% cotton. These same nerve gasses that could harm an infant could harm you too. Although we have a mattress that is just 6 months old, I do not know what it is made out of and don’t want to take any chances. Especially knowing that if it is emitting nerve gasses, I will absorb them and they will be passed through my breastmilk to my child. Needless to say, we just bought an adult-size low density food grade polyethylene mattress cover here. Although it makes a plastic-y sound when you get into bed, I don’t mind! A small price to pay for better health and my child’s safety. And lastly, if you’re wondering what mattress and mattress cover we went with for our baby, we went with Naturepedic. Here is the mattress we purchased (or will be purchasing) and here is the mattress pad (waterproof). If you are reading this post, you are probably one of two groups of people. You either know deep down that it’s important to buy organic, but if you were asked to list the reasons, you might not be able to do so, or you are not yet convinced that it’s important to buy organic and are interested in what I have to say about it. Although I feel there are about a million and a half reasons to buy organic, I’ll keep this post short. Buying organic can be expensive, so here are the top foods to buy organic, since they have the highest amount of pesticides: celery, peaches, strawberries, apples, blueberries, nectarines, bell peppers, spinach, kale, cherries, potatoes and imported grapes. Hormone and antibiotic free butter, milk, eggs and meat are good too. Although it can be pricey, the money you spend now to eat better will be far less than what you’ll spend later in life with all the medicine and drug treatments you’ll need because of all the pesticides you consumed. Organic farms are less damaging to the environment and when you buy organic you subscribe to a different kind of environment ethic. Buying organic tells store owners and farmers that there is a demand for organic food. So there you have it. Moral of the story—take care of yourself. Don’t feed yourself (or the innocent children) chemicals. Good news for those with sensitive skin! Live Whole Be Free has created a special line of deodorant just for you! 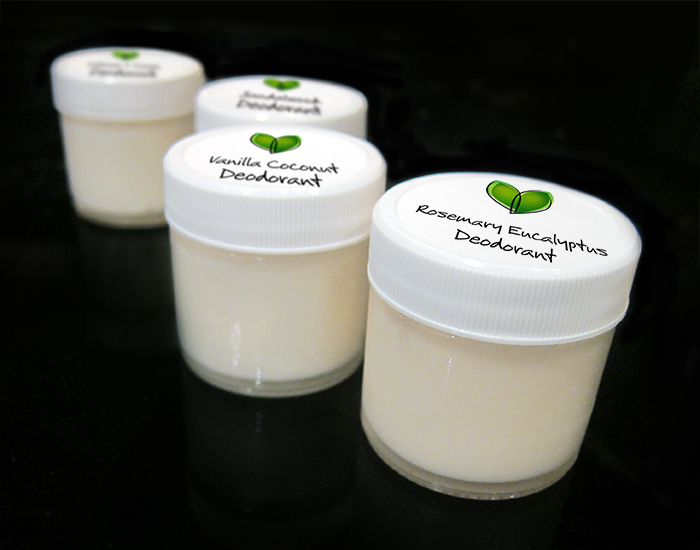 This all-natural deodorant is similar to our other scents with the exception of the essential oils. The essential oils have been omitted from this sensitive skin version, which may alleviate any redness or irritation that some may experience. I will say that some people do experience some minor redness and irritation (small bumps) during the initial weeks of using this all-natural product (me being one of those people). If this happens to you, my suggestion is to avoid applying the product on areas that might be irritated and/or skip applying the product for a day or so, until irritation has subsided. This worked just fine for me! Sometimes the essential oils may cause this irritation, so we’ve created a version that doesn’t include them to enable everyone to use the product. The good news is that even though this version is not scented with the essential oils, it still has a nice light coconut scent to it. Men, not to worry, you can’t smell anything once it’s on! Interested? We thought so! You can buy it online from our Etsy shop! Many of you have reached out to me with such amazing, positive feedback from our all-natural, chemical-free deodorant line and we want to thank you for that feedback! We are thrilled with the results and effectiveness and even more thrilled that it’s working for you too! We’ve decided to put a short post together containing tips, tricks and what to expect for using the all-natural deodorant to help you further enjoy the experience. Enjoy! If possible, do the 3-day tea tree oil detox to rid your body of toxins from commercial anti-persperants such as aluminum zirconium. If the product melts, mix the product to redistribute the ingredients, then stick in the refrigerator just long enough for the product to resolidify, then use and store at room temperature. This will not impact effectiveness. Because coconut oil is one of the main ingredients, it will melt in the heat and solidify in cooler temperatures. Be sure to travel with it in a ziplock bag to prevent leaks. If the product is very cold, you can take a small amount out of the jar with your finger and hold it in your armpit (arm closed) until it begins to melt. Use and store at room temperature. The deodorant is best applied using your finger. I recommend using a small amount. I use an amount smaller than the size of a dime. Ladies wearing tank tops—after applying, check your armpit to ensure the product is fully absorbed. If you see anything white, just brush your armpit and the white will brush right off or rub into your skin. If you’re not wearing a tank top, you don’t have a reason to be concerned. Ladies that shave—if you experience any stinging after shaving and then applying the deodorant, try shaving in the evening instead, then waiting to apply the deodorant until the morning. Irritation—if you experience any irritation, I suggest trying several things: 1. Make sure you didn’t just shave your pits. 2. Reduce the amount and/or frequency of use of the product and the irritation should subside. 3. Try using a different scent or try the Sensitive Original (unscented), as sometimes people can have sensitivities to essential oils. 4. Try our Sensitive Advanced formula, which does not include baking soda, which can cause irritation in some people. UPDATE 12/6/15: I have been using this deodorant every single day for over 3.5 years. I have only experienced 2 small and brief periods where I had some irritation under my arms. It was easily remedied by using the Advanced formula for a couple weeks, then I went right back to the same scent I was wearing before without issues. This is a deodorant, not an anti-persperant. We want to sweat. Sweating is a natural body response and helps to eliminate toxins. Some people have mentioned that at the beginning of making the switch to all-natural deodorant, they were sweating more than usual. They have also reported that this is only temporary, and the results were fantastic! I actually sweat LESS now with this deodorant (not an anti-persperant) than I was before. If the deodorant dries out at all (this can happen if it leaks/spills or is kept in a hot place) just add a touch of organic sunflower oil and remix. Voila! Good as new! Hopefully those tips and tricks will help you as you embark on your chemical-free deodorant life! We can honestly say we love this product so much, we will never go back to store-bought brands! I wore commercial anti-persperant for 15+ years before doing the 3-day detox and making the switch. I have tried a couple of other “natural” deodorants in the past such as Jason’s and Tom’s brands, but neither of them worked at all for me. In fact, I’ve never met anyone who has told me either of these brands have actually worked for them. How they are still on store shelves is beyond me. The deodorant is the only thing my husband and I have worn for years now. My husband loves and it, and he’s not nearly as “crunchy” as I am! 3 New Homemade Deodorant Scents Available! That’s right! 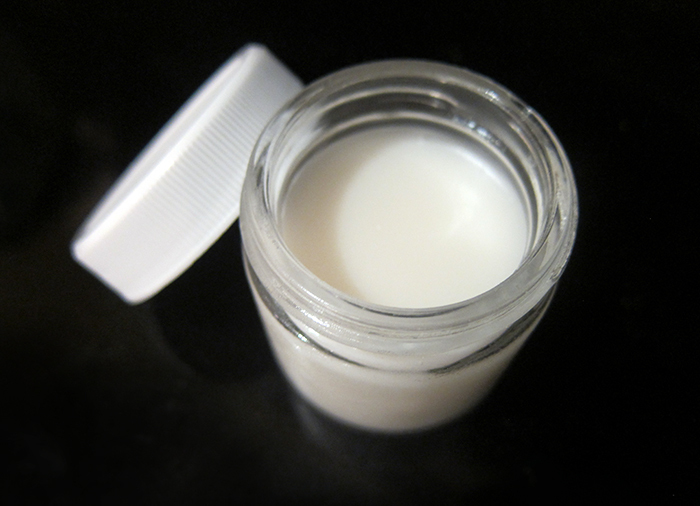 There are now a total of FOUR scents available in our homemade deodorant! This amazingly effective, all-natural, chemical-free product is now available in Rosemary Eucalyptus, Vanilla Coconut, Sandalwood and of course our original scent, Lemon + Clove! Below is a quick description of each scent, but if you’d like to try them all, you can order a four-pack for slightly less than buying them all individually! Also, the homemade deodorants now come in screw-top glass jars! I can’t wait to hear what you think about them. The feedback I’ve gotten so far has been outstanding! For best results, I recommend doing the tea tree oil detox prior to going chemical-free, but it’s not required. Enjoy! Original scent — Stronger scent of clove over the lemon. Woodsy and fresh. New — Clean, fresh, rejuvinating spa-like scent. My new favorite! New — Fruity and delicious. You will want to lick your armpit… Seriously. New — Fresh and outdoors-y with hints of clove similar to Lemon + Clove. Includes one of each of the scents listed above! Hello friends! I hope you’re all enjoying the warm weather now that summer is in full swing! We sure are enjoying the heat down in Texas! And speaking of the heat… yep… the homemade deodorant is still working! In fact, the responses to the Aluminum Zirconium post was so overwhelming, I’ve decided to make a little challenge out of it. UPDATE: THIS OFFER IS EXPIRED: If you are curious about the homemade deodorant but don’t want to invest the time or money to make your own—no problem—I’ve decided to make it for you! I’ve bought plenty of 1 ounce containers and will spend the next few days making deodorant for those of you willing to give this challenge a try. Aren’t they cute?! And they’re cheap! Just four bucks for a 1 oz. plastic container of lemon and clove homemade deodorant (shipping not included). That’s comparable to what you would pay at a “regular” grocery store for commercial anti-persperants AND it won’t cause Alzheimer’s or other neurological issues/side effects. Sounds like a win, huh?! It’s also much cheaper than buying from specialty organic stores. If you’re interested in this, I suggest jumping on this opportunity as I’m not certain I’m going to make deodorant-making my full-time gig. 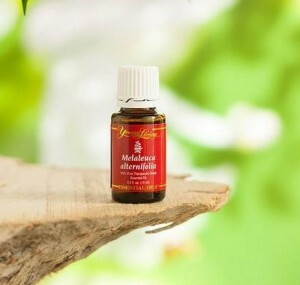 For three days, you wear only a drop of tea tree essential oil (melaleuca alternifolia) under each arm. This is your detox period in order to rid your body of aluminum zirconium, the icky chemical found in commercial anti-persperants, linked to all kinds of issues! Also, you need to sweat those toxins out! Don’t sit home all day under the air conditioning trying to avoid getting stinky. Those first few days—you might smell a bit, but it’s worth it! If you’re concerned about it, do it over the weekend, making Saturday and Sunday the first two days. By Monday, you’ll be much better off. After three days, you spend the next week (to two weeks) wearing only the homemade deodorant. For most people, it won’t take long to convince you that this stuff works. It only took me a few days. But for those of you who need more convincing, go for two full weeks. Lastly, I want to know how it goes! Post your comments below and let’s have a nice group chat about everyone’s experiences with this! Remember, everyone’s body is different, so embrace the fact that your experience might be different than the next person’s and that is perfectly normal! 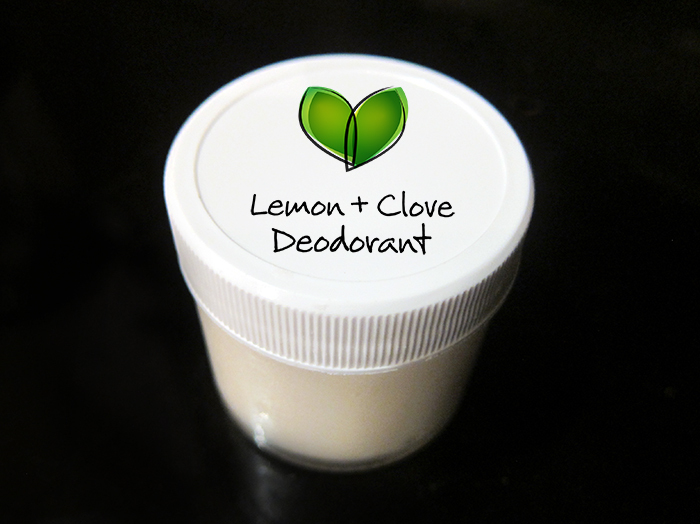 To purchase LWBF’s Lemon and Clove All-Natural Deodorant visit Live Whole Be Free’s Etsy Shop! Yep, you read that right. I’ve taken another step towards becoming a full-fledged hippie by actually making my own deodorant. First, let me give you some background information to help you understand how I made this decision. I should start by saying that I had no idea I would ever do this, nor is my goal to actually become a hippie. I’m all for eating clean and avoiding as many toxins as possible, but I never considered potentially sacrificing personal hygiene practices in order to do so. The truth is, you don’t have to sacrifice anything. To be honest, I feel if anything I’ve gained instead of lost! I lost harmful toxins and gained a whole new appreciation for ingredients like coconut oil and arrowroot powder as well as a new perspective on commercial products. I approached my doctor about two months ago with a slightly embarrassing issue. Interestingly enough, it had nothing to do with body odor. For several weeks, I noticed I had been slurring my words when speaking, and leaving out groups of letters when writing. I was concerned. Although there truly are a myriad of things that can cause side effects like these, he asked if I used anti-persperants with aluminum zirconium in them. I had no idea. I checked the ingredients as soon as I could and sure enough, they read like a science project: Aluminum zirconium tetrachlorohydrex gly 15.4%, cyclomethicone, stearyl alcohol, C12-15 alkyl benzoate, PPG-14 butyl ether, hydrogenated castor oil, PEG-8 distearate, hydrogenated soybean oil, talc, fragrance, hydrolyzed corn starch, behenyl alcohol. Ruh row, this can’t be good. So I did a little research and to be honest, it’s just like anything else. There are people out there swearing that this stuff causes Alzheimer’s Disease, neurological damage, memory loss, learning difficulty, loss of coordination, disorientation, mental confusion, colic, heartburn, flatulence, and headaches. Then there are others claiming there isn’t enough research to support these claims and there is no cause for alarm. However, knowing what I know now about the government, the FDA and the political crap that goes on in our country (watch Food, Inc. if you don’t know what I’m referring to), I don’t need a whole lot of research to tell me if this is a legitimate cause for concern. My body is telling me that something is wrong and whether the slurring is connected to aluminum zirconium or not, I believe that putting a potentially harmful substance on one of the most porous parts of my body to stop me from sweating—a natural occurrence—is now an absurd thing and I’m through with it. Days 1-3: No deodorant and definitely no anti-persperant. Consider this your detox—getting rid of all the aluminum zirconium in your body. I used a drop of tea tree oil under each arm and that was all. It’s uncomfortable at first. After decades of wearing deodorant of some sort, it is a strange feeling! I was a little stinky, but it wasn’t anything I couldn’t handle. I went through my workouts as usual as well. Day 4: Detox is over! I started using a chemical-free, safe deodorant I bought online. Days 4-30: Okay, wow. I’m shocked, super happy, sweating less than I was using an anti-persperant and I smell delicious! I’ve even had several friends smell my armpits and they all agree. (Talk about great friends, who else would smell your armpit?!) I should also note that I currently reside in hot, sweaty Texas and participate boot camps and in Bikram Yoga (105°, 60% humidity, 90 minutes)—and I am still swearing by this deodorant! Days 31-50 (today): I’m so thrilled with the results of this new deodorant that I’ve started making my own. You can also buy it online from LWBF’s Etsy shop! I truly highly recommend this homemade deodorant. In fact, I’ll never go back to commercial products. I consider myself quite the “sweater” and this stuff works great for me! Just remember, with a base of coconut oil, it’s going to melt in the heat and solidify in cooler temperatures. If it melts, just stir it a bit, then stick it in the fridge—it will be good as new! Check out all the tips and tricks! I should also note that I am no longer slurring my words! Hooray! UPDATE 12/6/15: I have been using this deodorant daily for 3.5 years, and I am still totally thrilled with it. In fact, I have perfected the recipe and I think with 166 5-star reviews on Etsy, it seems that everyone else agrees! Give it a try!